My new novel Kumquat is done! By “done” I mean that I’ve written all of it and I’ve typed “The End,” but there’s still about a page worth of notes to myself that I have to address in the manuscript. (Sample: “They would be staying in an overflow hotel, not the actual convention hotel.”) I count this as being done, dammit. 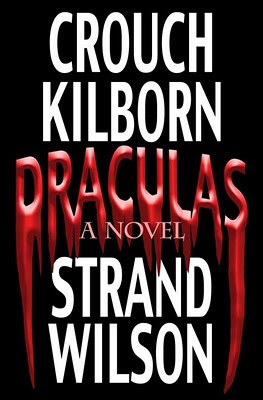 For those of you wondering when you’ll get to read this book, my answer is an enthusiastic “I have no idea.” Unlike pretty much everything else I’ve written for the past decade, this wasn’t sold to a publisher before I wrote it. So after I do my final read-through, it’s going off to my agent. What will happen to it from there? Stay tuned for the latest updates. I’m still working on my novel Kumquat. Gettin’ really really close to the end, although it’s going to need another full pass before I’m ready to send it off to my mighty test readers. 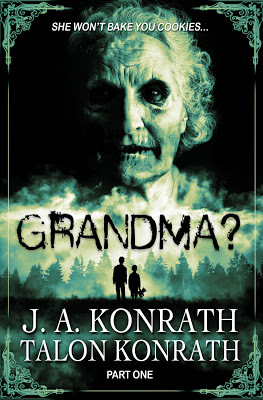 I wrote the afterword to the first part of Joe and Talon Konrath’s serial YA zombie novel Grandma?, though of course I’ve already posted about that, and you’ve already bought it. 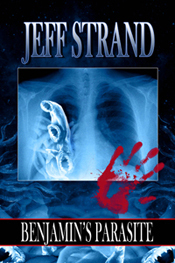 Did some edits for “Bath Time!” a short story that’ll appear in The Horror Library, Volume 5. No offense taken. But you don’t NEED a Kindle! 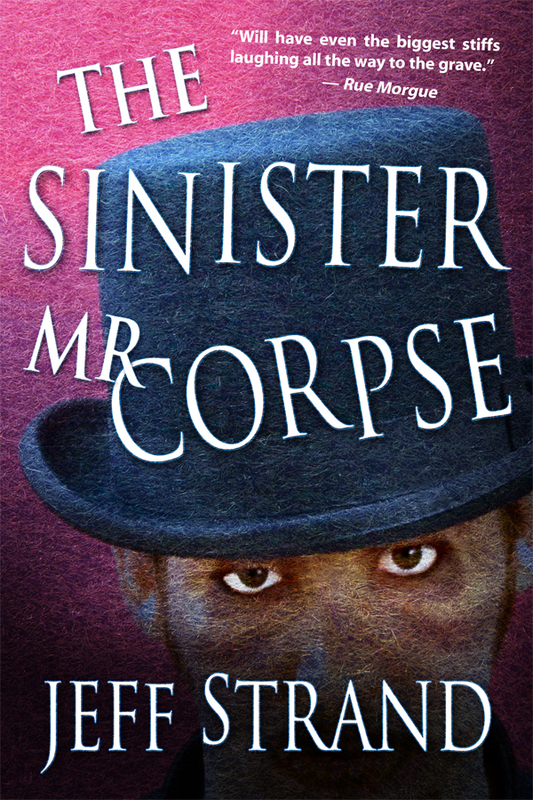 You can download an absolutely free Kindle app to your mobile device and read The Sinister Mr. Corpse from the comfort of your own phone. Yes, it requires a few steps, but, hey, The Sinister Mr. Corpse is free! 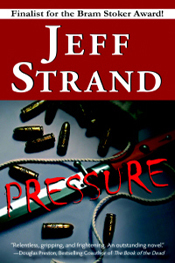 Notice that the cover is a little different? Lynne Hansen tweaked it. Finally, that day arrived. And I stared Joe right in the e-mail and said, “Sure!” Because I remembered that he’s my meal ticket. 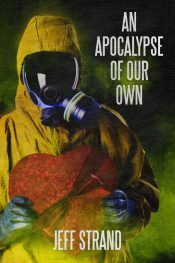 So, Joe and 15-year-old Talon Konrath present Grandma?, the action-packed, funny first part of a serial novel. Afterword by me. 99 cents. My next movie whilst working to keep my svelte figure was Kill List. For the first hour, it’s a British crime flick with a nice dose of dark humor. For the last half-hour, it’s still British, but…well, I’m not going to spoil anything, but if you say “I knew exactly where that film was headed!” you’re a damned dirty liar. I also watched Safety Not Guaranteed, though not while on the treadmill. An absolutely wonderful movie. I’m halfway through my next treadmill flick: Oldboy, which so far is beyond awesome. I’ve been using my treadmill, but for short periods of time at high speeds, which is not conducive to movie-watching. So it took me MONTHS to finally watch the last couple of minutes of The Human Centipede Part 2. I could have watched the end without being on the treadmill, but the movie is a piece of crap that does wrong everything the original did right, and I had no investment in the outcome. Four stars out of five on Netflix. Next up: either Oldboy or Kill List.